Scout, a 4-year-old terrier mix, ran off but was found by an Oakland family. A Waterville woman whose dog was lost Wednesday after a car crash on Interstate 95 has found the dog, which was tired and a bit scraped up, but otherwise safe and sound. Judy Maheu, 61, of Waterville, said she was trying to make a left turn around 2:30 p.m. Wednesday into the median strip of the Interstate near mile marker 127. 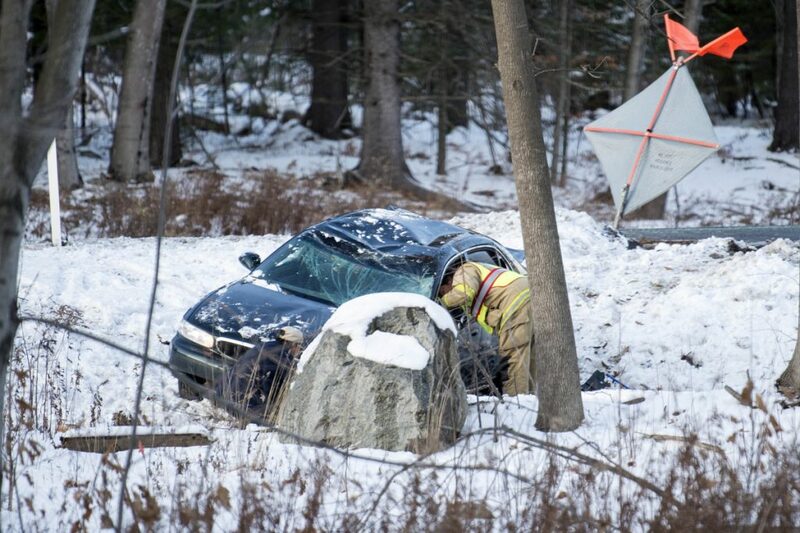 When she put on her brakes, the vehicle behind her, a commercial pickup truck carrying heavy equipment, rear-ended Maheu’s 2004 Buick, according to Trooper Joe Chretien, of the Maine State Police. The crash launched the car into the air, causing it to roll over and come to rest on an embankment. Maheu’s car was destroyed and she was treated at the scene for minor injuries. During the crash, Maheu’s dog, Scout, a 4-year-old terrier mix, ran off; and as of Wednesday night, it had not been found. 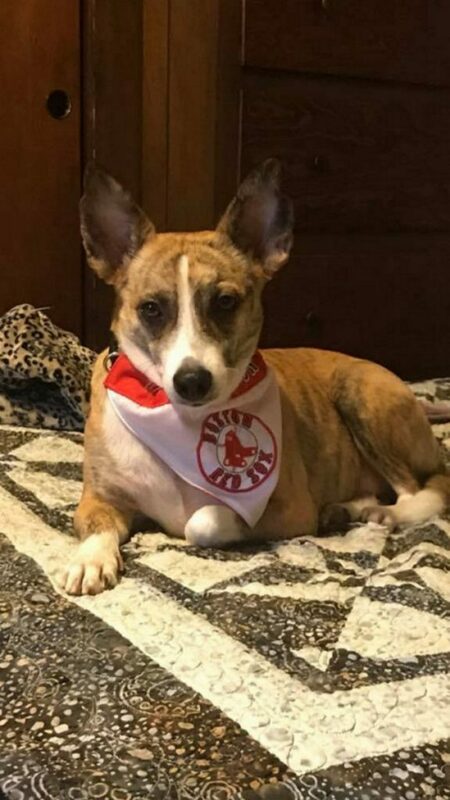 A “lost dog” flyer with a picture of Scout sporting a Boston Red Sox bandanna was posted on social media. The flyer did its job. The post received 162 comments and 111 shares. “Other than being tired and a bit scraped up, she’s fine,” Maheu replied to another comment. Maheu did not respond immediately to calls placed to the number on the flyer on Friday.